Welcome to Day #5 of Chocolate, Enchanted Islands and Pirates Theme Week. 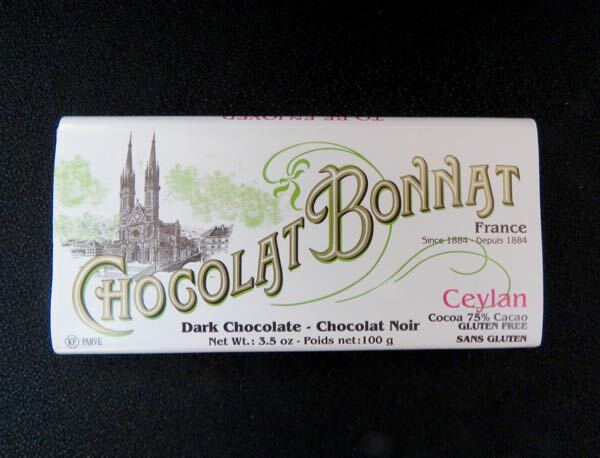 Today's Ceylan 75% Cacao Chocolat Noir (Dark Chocolate) bar was made by Chocolat Bonnat (Voiron, France) and distributed by Custom Source LLC (Worcester, MA). 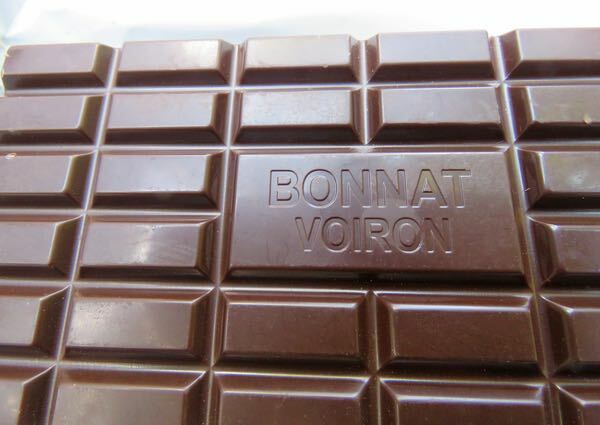 Every Bonnat dark chocolate bar I recall tasting has had a luscious buttery, creamy texture. This gluten free bar made with cacao beans grown in Ceylan* was no exception. It had a faint sweet leather aroma note, a rich, full chocolatey flavor, a faint sour cherry note and a slightly bittersweet finish. 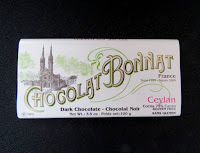 Tasting notes described this Ceylan bar has having Asian flavors. Not sure what that meant exactly. I didn't pick up any spice or other notes I associated with SE Asia chocolate or cuisine. *The name Ceylan (Ceylon) is an island nation located in the Indian Ocean, south of India. The people of this island have felt the presence of European nations: first, the Portuguese in the early 1500s and then the Dutch (Dutch India Company), before falling under British rule from 1815 to 1948. The British brought a variety of plantation crops to grow on the island, including tea, rubber, coffee and presumably cacao. Ceylon became known for its lush tea plantations under British rule. Were it not for labor practices there, more of the people might have experienced its enchanted isle status. Concerns over foreign powers, and pirates in the Indian Ocean, have been a part of the region for some time. In the early 1940s Japan was said to have designs on Ceylon. And occasional incidents of piracy (e.g., raids on commercial/trading ships) in the surrounding seas continue to the present decade. The country eventually re-gained its independence; and in 1972, it became the Republic of Sri Lanka. Ceylon has continued to be influenced by India, China and other larger trading partners as they participate in the global economy, with exports like tea, textiles, rice and other agricultural products, like cacao.